I just realized this hasn’t been shared yet. 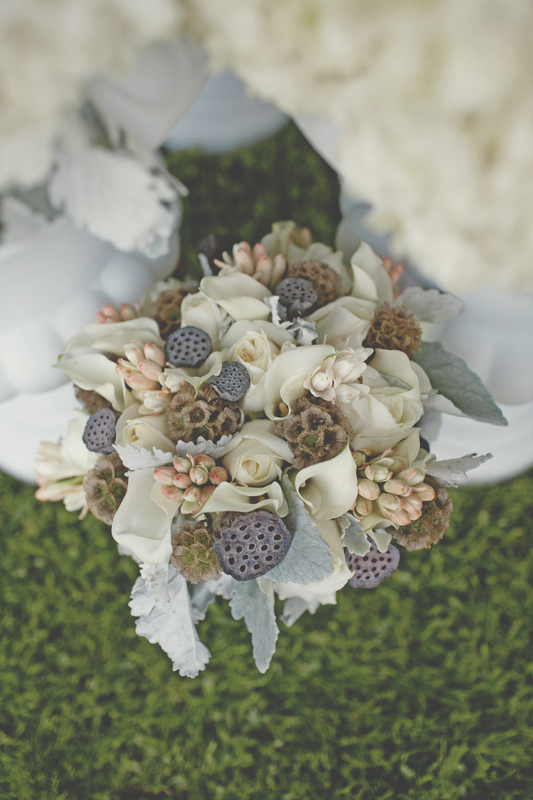 Here is a snapshot of C’s wedding bouquet shot by Feather Love. Isn’t it lovely? I had major bouquet envy while I was making it. 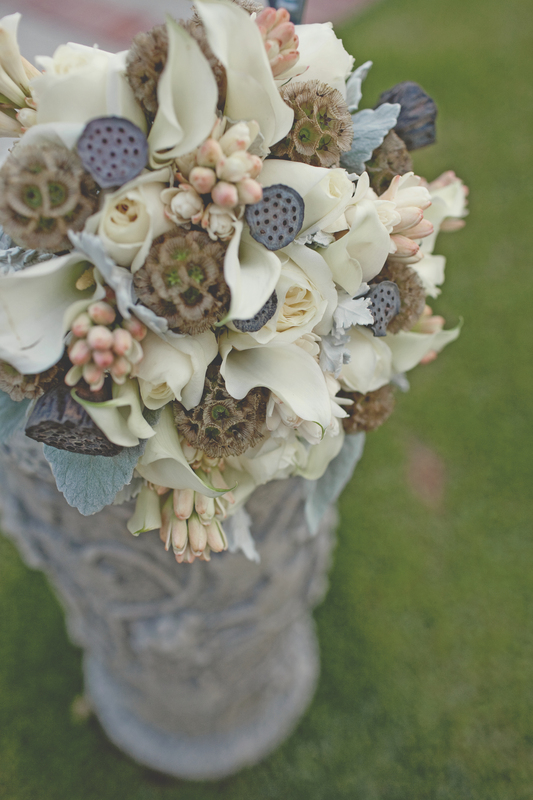 This entry was posted on Thursday, March 10th, 2011 at 5:27 pm	and tagged with akiko rose, back yard wedding, bridal bouquet, dried lotus pod, dusty miller, feather love photography, mini cala, scabiosa pod, southern california wedding, sugar and fluff, tuberose, vintage bouquet, vintage wedding and posted in Portfolio, Uncategorized. You can follow any responses to this entry through the RSS 2.0 feed.